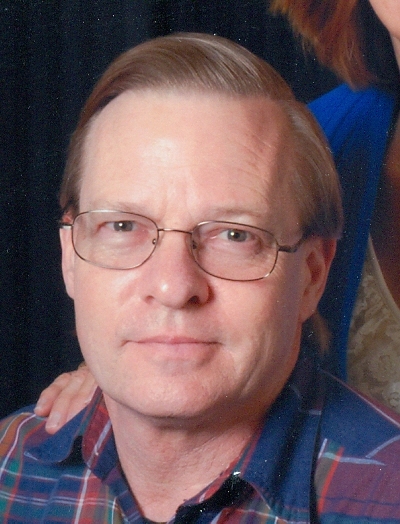 John Thomas Walter, 65, of Independence, MO, passed away peacefully on September 30, 2018, following a long illness. Visitation will be held from 5-7 pm Wednesday, October 3, at Park Lawn Northland Chapel, Liberty. Mass of Christian burial will be held at 10:30 am Thursday, October 4, at St. James Catholic Church, Liberty. Burial will follow in Glenridge Cemetery. In lieu of flowers, memorials are suggested to St. Mark Catholic Church in Independence, where John was a member. John was born December 2, 1952, in Houston, TX. He graduated from Truman High School in Independence and received his Associate's degree from Longview Community College. His career with Hallmark spanned 36 years, retiring in 2009. He was a member of the Mo-Kan HO Club. John was preceded in death by his birth father, John Kunkel; mother, Lillian (Boen) Walter; father, William Walter; and grandson, Corban. Survivors include his wife of 36 years, Marilyn (Studer) Walter; children, John Eric Walter (Susan), Trevor Walter, Kent Walter (Holly); and Kendra Walter; sister, Julie Weissflog (Rick); step brothers, Doug Walter (Beth) and David Walter (Ellen); grandchildren, Garrett, Anastasia, Jaicee, Sebastian, Levi, Teagan and Ryker. We were truly saddened to hear of John"s passing. Remembering times of us at Liberty Distribution Center Hallmark in the old days and of you Marilyn working at Dairy Queen even before that. Those were some fun times in our youth. We've known each other for many years. May God give you peace and love. Our thoughts and prayers are with you. May God comfort you at this sad time of life. You are being thought of and prayed for today! Condolences and love from Aunt Joan. Sorry I can’t be there. Remembering John from many years back. So sorry for your loss. You have lost such a great guy.